The latest from Cannes; New emoji; Why #TrumpSoPoor is trending; MetLife could fire Snoopy; Gun-control measures fail in Senate. 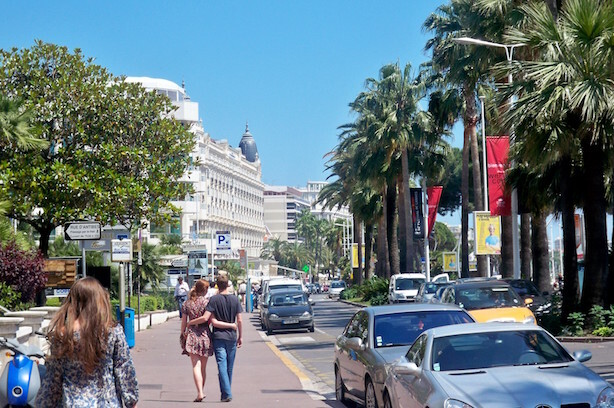 The latest from the South of France: Industry awaits PR Lions winners tonight; Edelman, Ogilvy, Engine, Prime make shortlists in other categories; Cannes shows PR has guts; Team U.S.A. brings home the gold in PR at Young Lions. Coming soon to your phone: new emoji. Unicode, the governing body of sorts for emoji, is releasing 72 digital images to the public this week, including sure favorites "face palm," "man in tuxedo," "fox face," and "drooling face." An image of a rifle did not make the cut after opposition from both Apple and Microsoft. More: Hands off my smiley face: Emoji become corporate tools, via The New York Times. #TrumpSoPoor trended on Twitter on Tuesday morning, mocking the presumptive Republican candidate for having only $1.3 million in cash on hand entering June. (Hillary Clinton has more than $42 million, giving her a huge ad-buying advantage). A small group of Republican delegates is working behind the scenes to oust Trump at next month’s convention. Don’t expect a tell-all book from just-removed Trump campaign manager Corey Lewandowski anytime soon, according to BuzzFeed. Good grief! MetLife is considering phasing out beloved Peanuts character Snoopy from its advertising in the coming months, according to the New York Post. The insurance giant has a $12 million annual licensing deal to use the legendary cartoon dog’s image through 2020. Four gun-control measures failed in the Senate on Monday night, despite a short but vocal public affairs push in the days after the Orlando mass shooting at Pulse nightclub. Hillary Clinton responded to the vote with a one-word statement, "enough," along with the names of those killed in the mass-shooting. Donald Trump did not issue a statement on the tally, but worked on Monday to clarify earlier comments about who he thought should have been armed in the nightclub. What to know on Tuesday: U.S. Golf Association apologizes for timing of Dustin Johnson penalty stroke. Puma says sorry for Swiss team’s shirts coming apart during Euro 2016 play. Bayer’s crop science group issues mea culpa for tweeting that lack of meat demand is good for the environment. Fiat Chrysler to investigate Anton Yelchin death. Facebook sticks with Peter Thiel.